We’re not only paper you know. – Write with us! We’re not only paper you know. When I get to a stationery show, I’m immediately overwhelmed. I usually have a strategy, but then it all goes to pieces when I walk in the door. There’s just paper absolutely on every wall and table in the place. So this year, I decided to head to the New York International Gift Fair just to try something a little different. After reading the list of vendors, they were planning for stationery and lots of other products as well. So, I figured when I narrowed in on the paper goods, I’d be fine. But just when I thought I was safe, I stumbled upon this great looking alcove. My kind of whimsical. But I’m sure you’re thinking…what’s this got to do with stationery? LOTS! Most of the pieces are Decoupage. For you non-crafty types…decoupage is the art of cutting and gluing paper images to surfaces. 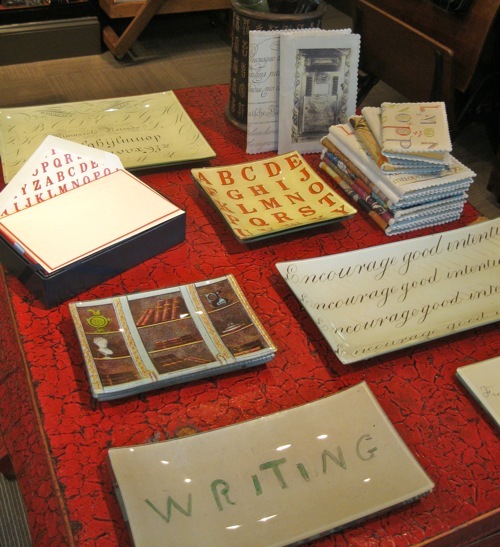 And in the case of John Derian, most of his “paper” is antique letters and images. When I narrowed in on the individual pieces, I saw lots that would be great in TT Patton. But where to begin and where to end. I must admit, I was in the space over 2 hours and never saw everything. So I ventured over to their retail shop and fell in love even more. But don’t be jealous, I think I made some really nice selections for TT Patton. And this past weekend…the box arrived! But don’t dally, because before they even have price tags…3 pieces are already gone. 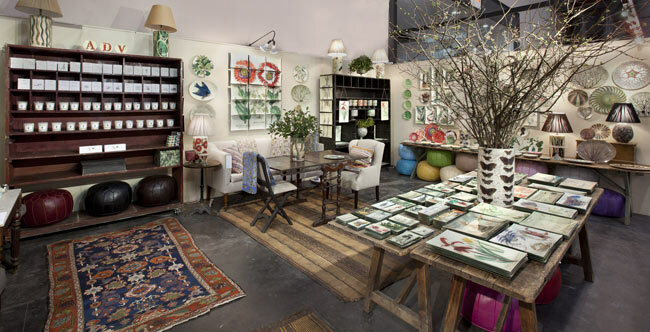 If you’d like to learn more about John Derian, read a little something about his fetish for collecting in Martha Stewart. This is so funny as the same thing happened to my partner when we went to the NY gift show last year. 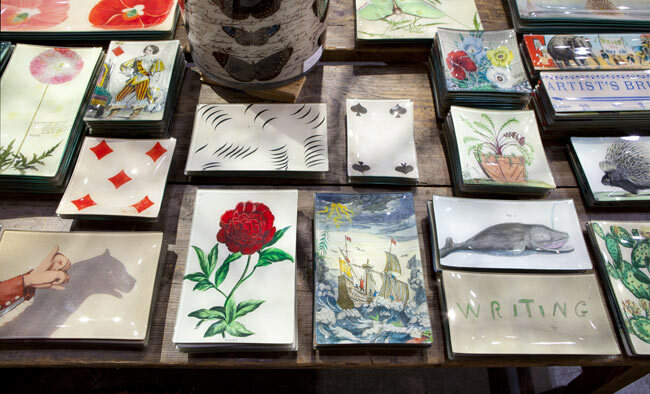 We fell in love with John Derian and even jumped in a cab to visit his downtown store. Sadly, his wares were a bit out of our reach financially; but we are great fans. Love your blog and store. Next Post You’ll write to me won’t you CC?